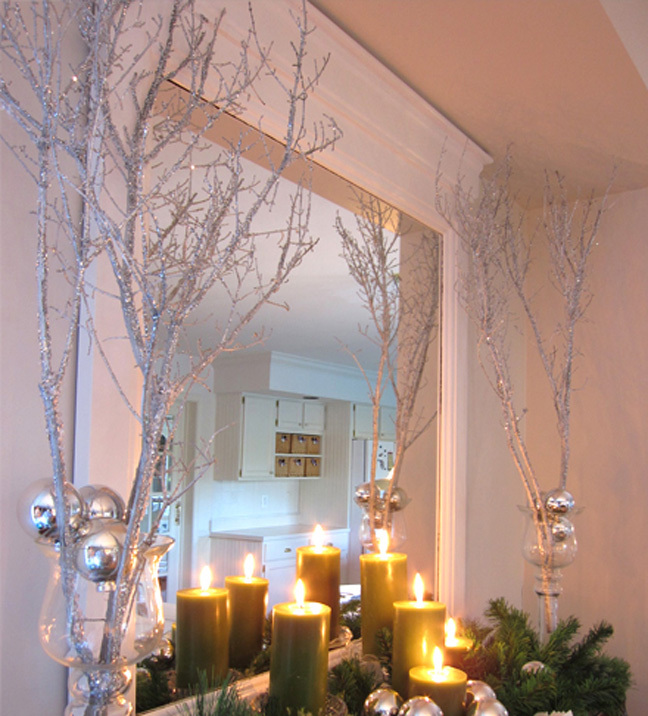 Sparkly branches make a big impact on holiday decor. I’ve seen them flipping through holiday catalogs, and if you buy them pre-finished at a craft or home store, the price is outlandishly high for what you’re getting (which is essentially dead twigs bombed with glitter). 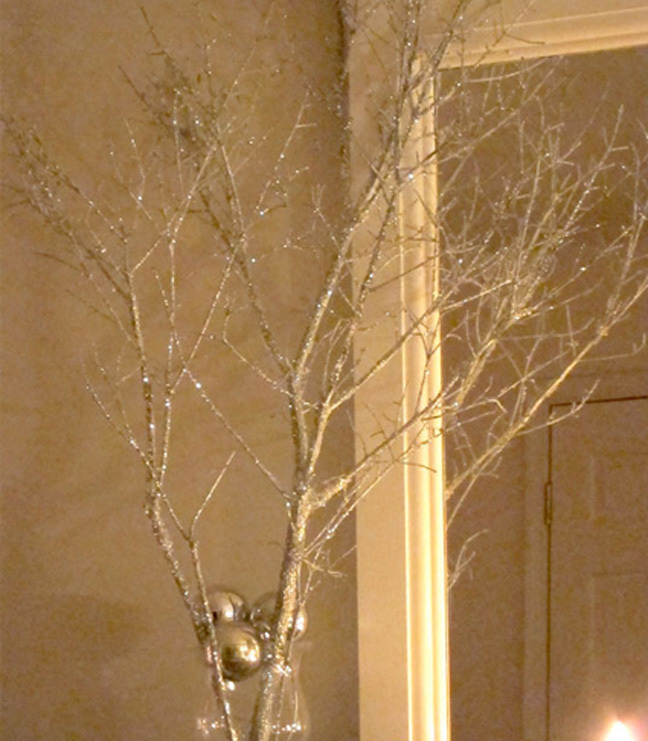 The majority of us have easy access to dead branches (heck, we can’t get rid of them fast enough around here), so instead of tossing them in the fire, I took it upon myself this year to recreate the look and create some festive sparkly branches of my own. 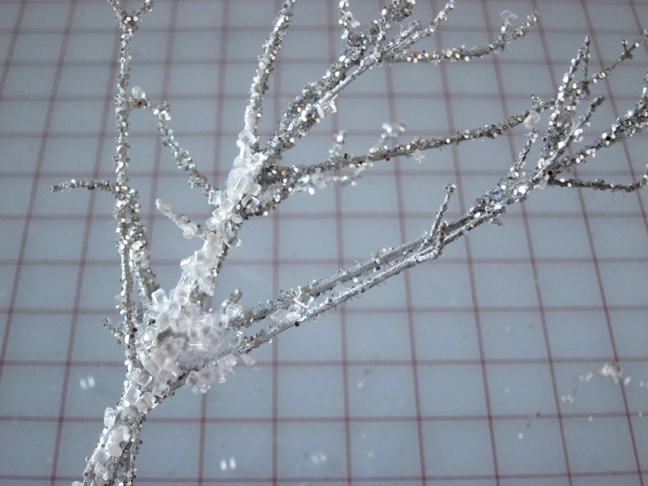 I made my branches silver, but you could go with any colour you desire to match your decor—you could try rose gold, gold, or even a shimmery emerald green. 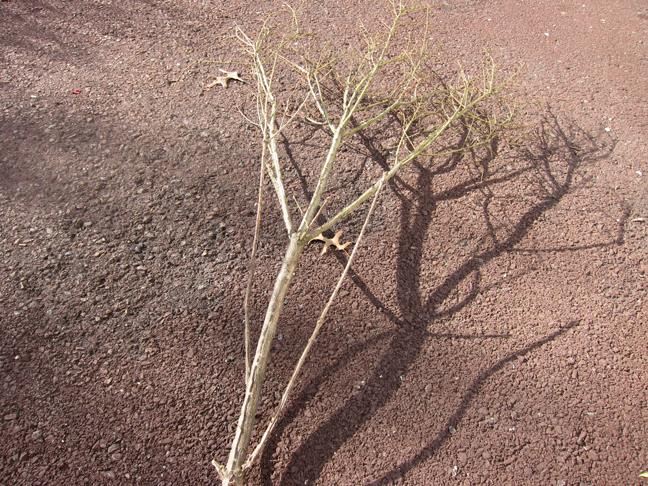 Step 1: Find a tree branch the size you require, then use pruning shears to cut and shape your branches. 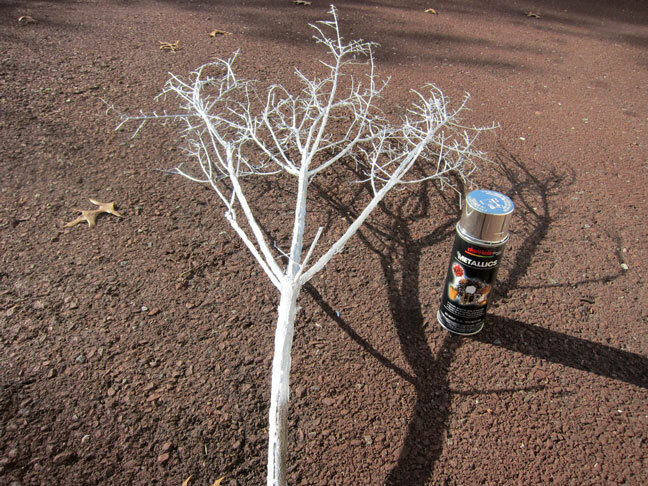 Step 2: Spray your branch with with spray paint to cover. Let dry. 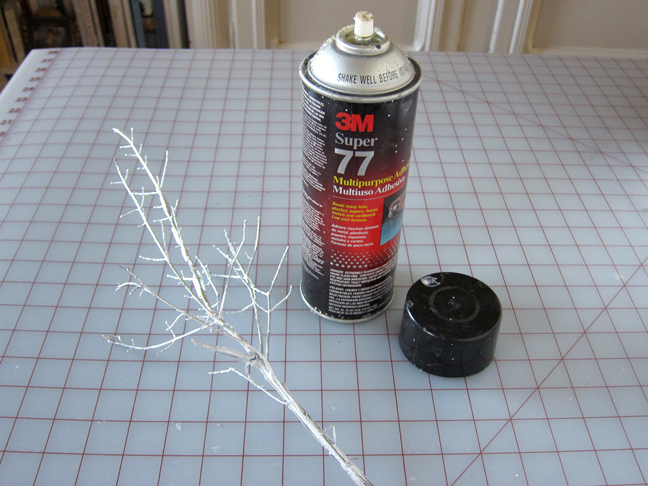 Step 3: Spray the branch with spray glue/adhesive until it is completely covered. 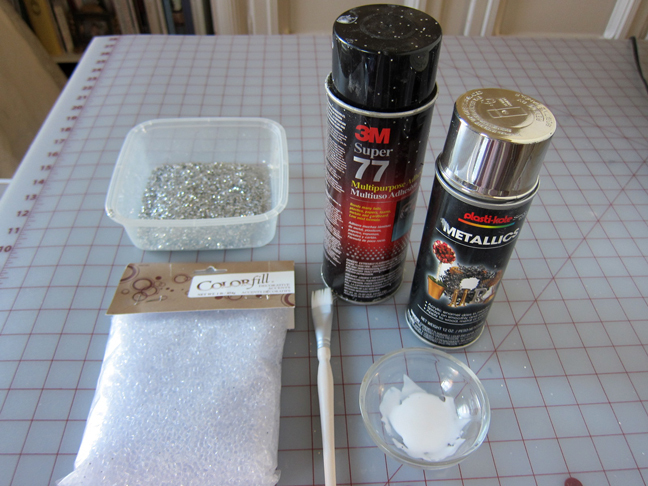 Step 4: Go outside or in the garage to complete this step or you’ll be sweeping glitter off your floor for weeks. While I’m just using a small branch to demonstrate this step, larger branches will require a cookie sheet. 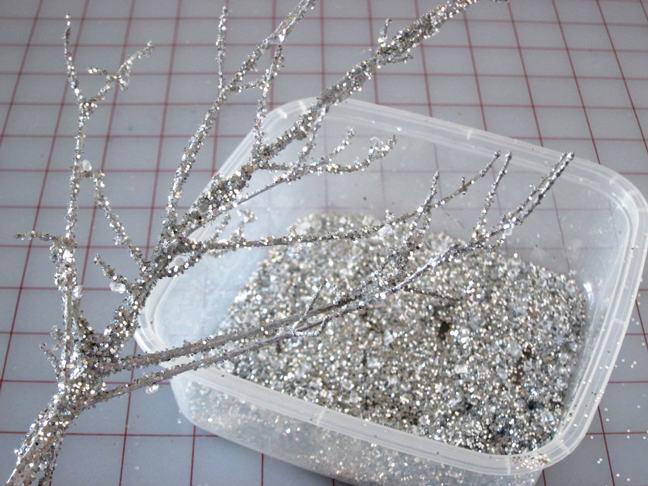 Lay the cookie sheet on the ground and sprinkle the glitter onto your branch so the excess glitter falls onto the cookie sheet and you can re-use it. 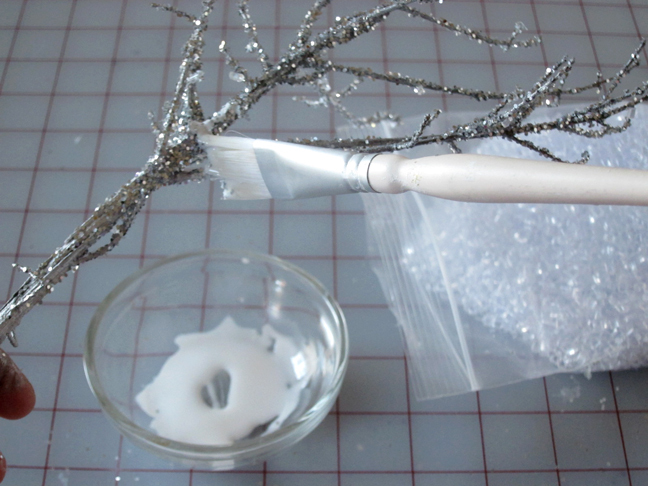 Step 5: To create an icy look, spread some white glue in a few places along the branch. Step 6: Clear off the cookie sheet and then sprinkle clear Colour Fill decorative accents over the glue. These little cubes will stick to your branches easily. 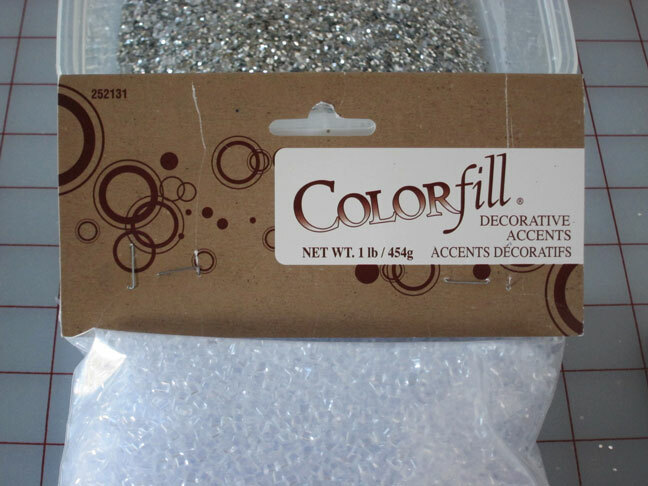 Collect excess accents on a cookie sheet as you did with the glitter in the previous step to reuse or save for later. Epsom salts also work in place of the Colour Fill accents, but your branches will have a whiter, snowy look, rather than a sparkly, icy look. 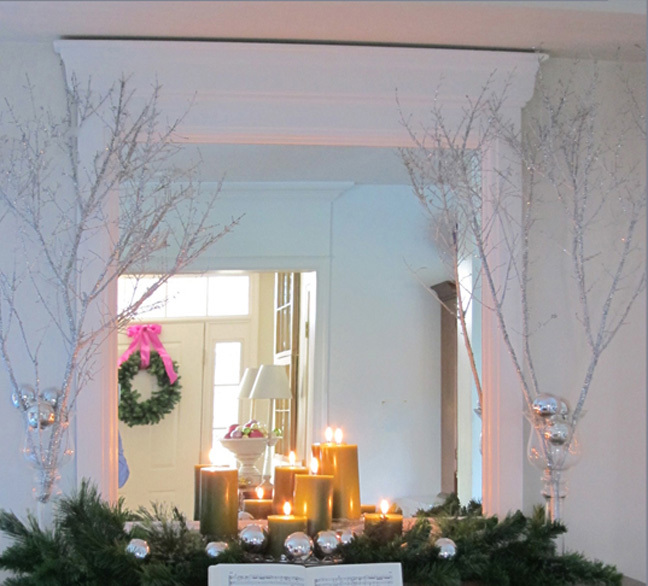 In daylight hours the sparkly branches look modern and fresh mixed with silver glass ball ornaments, candles, and greenery.